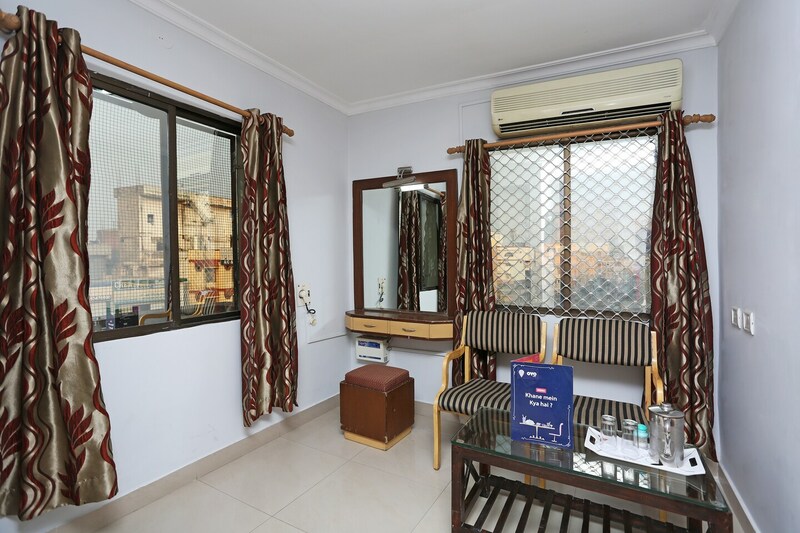 Situated near Himayat Nagar Circle, Hotel Balaji Residency is a pocket-friendly option to stay in Hyderabad. It is conveniently located near many tourist landmarks like King Kothi Palace, Hussain Sagar Lake, B.M. Birla Science Museum, and Telangana State Archaeology Museum. The rooms are moderately spacious and the highlight feature in them is the artistic headboard of the beds. Rooms are equipped with an AC, TV, and a geyser is installed in the washrooms. Other amenities like seating area, elevator, conference room, parking, laundry, power backup, and free Wi-Fi are also offered by the hotel. My Pizza, Mehfil, Paradise, Woodland Restaurant, and Blue Fox are some popular Restaurants near the hotel.